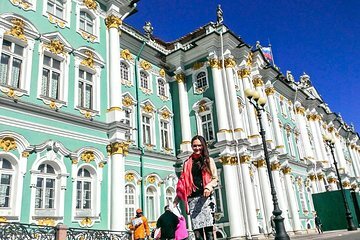 See the best of St. Petersburg in three days on this private experience that includes a 5-hour sightseeing tour each day. The three days are themed to organize your experience: secrets and highlights of the city on Day 1, Peterhof Grand Palace and the city's royal history on Day 2, and Peter and Paul Cathedral and Strelka on Day 3. The price includes the tours only; entrance fees, accommodation, and meals are at your own expense.